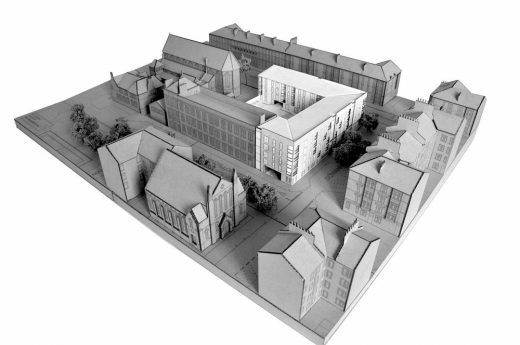 Collective Architecture are delighted to announce that plans have been submitted to Glasgow City Council for a social housing development on the vacant site of St Peter’s School in Partick which closed in 2013. 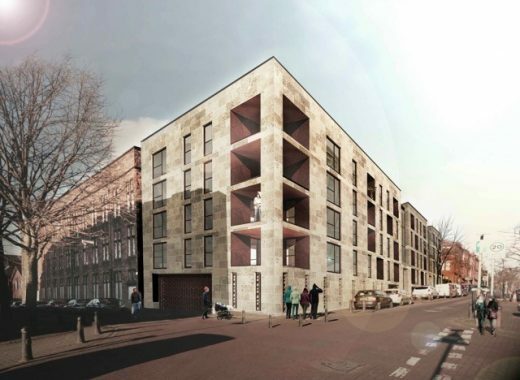 The proposals for Partick Housing Association include part conversion of the existing school to deliver 60 new homes for social rent, mid-market rent and supported accommodation. A mix of high quality, contemporary 1,2 and 3 bed ﬂats have been arranged within a clearly deﬁned block which also incorporates dedicated undercroft parking. The existing victorian school is located within a uniquely constrained grid iron residential street pattern on a steeply sloping site. 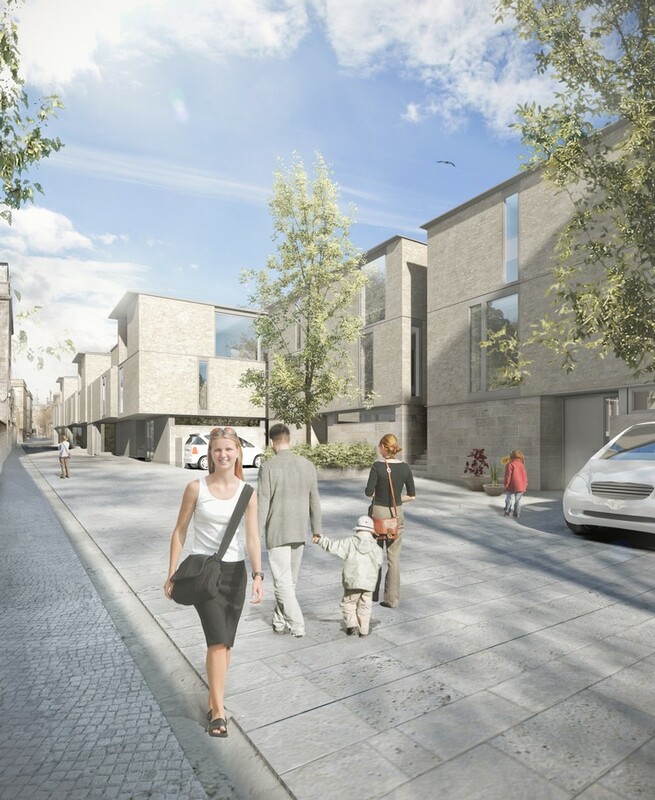 The design proposes to retain and refurbish the south wing section of the school facing Mansﬁeld Park and construct a new build housing block of similar mass and scale to the east section of the site. 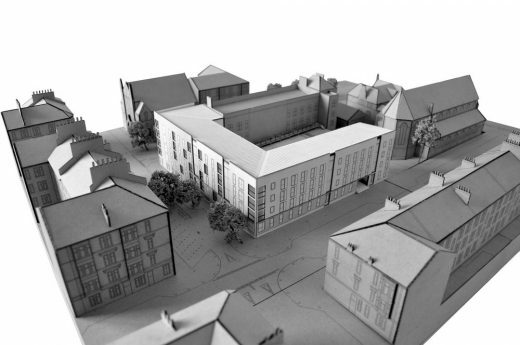 St Peter’s School is the ﬁrst major residential scheme to be undertaken by Collective Architecture for Partick Housing Association since the completion of their award winning residential project, Byron Street, which was completed in 2010.